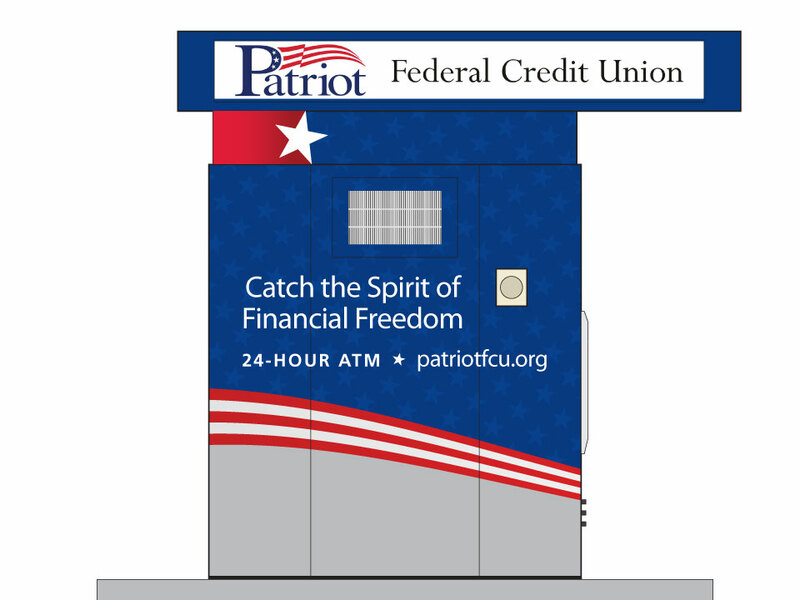 The idea behind the extended logo for the ATM machines at Patriot Federal Credit Union, was to visually attract customers from all distances. The entire space of the machine was changed from the original grey tone. 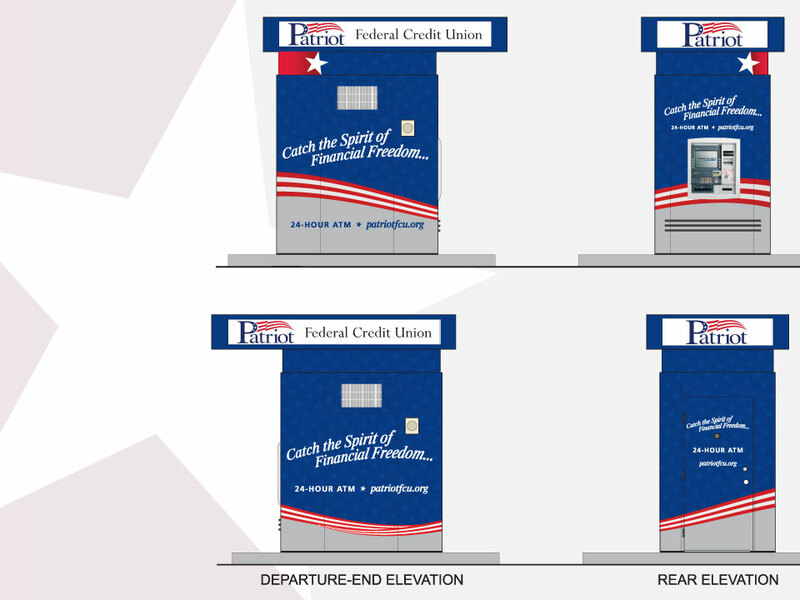 The ATM wrap design was wrapped with bright shades of red, white and blue, make the visual connection to the new patriotic tag line, “Catch the Spirit of Financial Freedom”. Print Advertising: Magazine, Newspaper or Direct Mail?